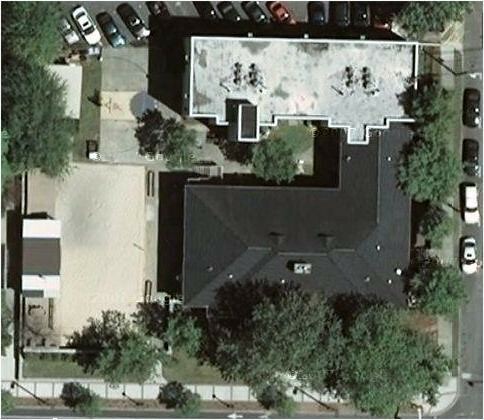 TKE Beta-Pi’s property includes four contiguous lots on the campus of Georgia Tech in downtown Atlanta. The land is owned by the chapter’s Board of Trustees. 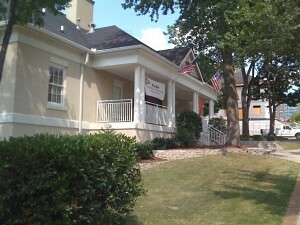 The Social Quarters sits on the Northwest corner of 5th Street and Techwood Drive, facing South on 5th Street. The living quarters sit to the North of the Social Quarters to which it is connected by a corridor on the East end of the property, running North-South along Techwood. The Western end of the property contains a regulation volleyball court, a deck (partially covered) and a half basketball court. 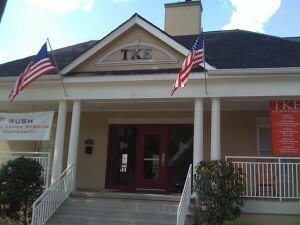 As well as being a place to live, work, and party, the House is also the center of much activity concerned with its maintenance and improvement, a feature of TKE life at Tech since 1948. 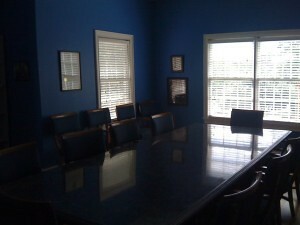 The Social Quarters contains a conference/study room, a recreation room consisting of a billiards table and darts, a newly furnished TV room, our kitchen, a suite for the Residential Advisor, laundry facilities, and a two-story great hall, which is used for dining, meeting, studying, and parties. This building was completed in 1994. Built in 2012, the newly-renovated living quarters stand behind the Social Quarters. Housing roughly 63 people, the “New House” consists of 2-man suites on the 2nd, 3rd, and 4th floors, as well as 2 and 3-man rooms on the 1st floor. Between each pair of rooms is a bathroom complete with tile floors and marble countertops. The new house consists of a state-of-the-art HVAC unit, which lowers the maintenance and utilities costs for the tenants. All of the new rooms have individual punch-code locks, as well as satellite television, wired and wireless internet, self-controlled thermostats, built in lofts with 12 ft. ceilings, and generous amounts of floor space, which allows complete customization of the room. The House is fully equipped with sprinklers and an alarm system. There are smoke detectors in each room, pull stations in each stairwell, and fire extinguishers located in the halls on each floor. 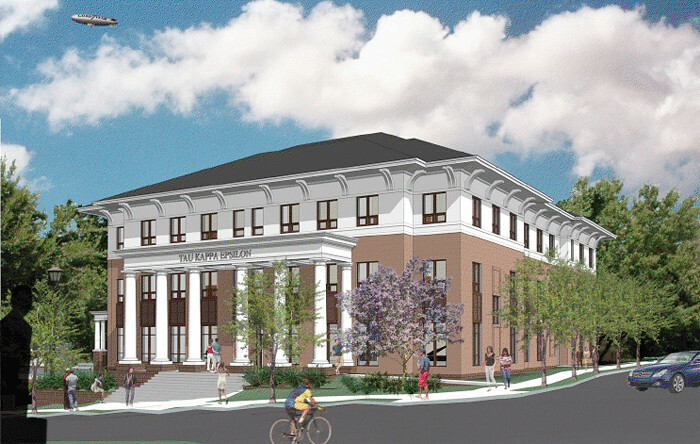 The Board of Trustees maintains insurance for the property of the Chapter and its Board. However, residents must provide insurance for their belongings. This is usually obtained through the parents’ homeowner’s policy.